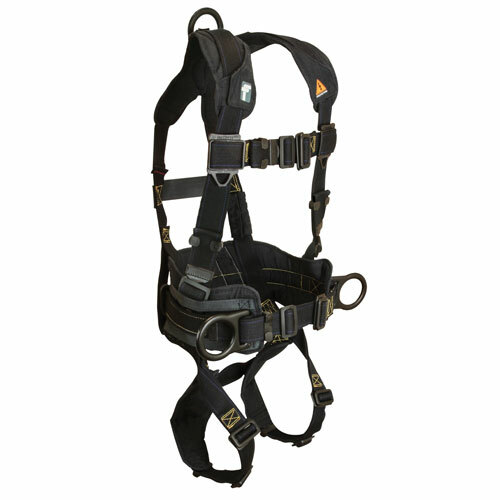 FallTech is known for its comfortable designs in bodywear, and their Arc Rated family of harnesses prove to be both comfortable and durable. Their Arc Rated harnesses quickly self-extinguish and prevent melting or dripping, which is critically important for workers near energized electrical sources, where arc flash or arc blast exposure is present. FallTech Arc Rated harnesses are ASTM F887 third-party tested to ensure workers are protected from falls, even after an arc flash of 40 cal/cm2. You can work in confidence knowing your FallTech Arc Flash-Rated fall protection products are engineered and manufactured to the highest standards of safety and reliability, complying with OSHA Regulations, ANSI standards and the third party testing of ASTM F887. FallTech’s internal testing lab has met the requirements of the IAS Accreditation Criteria for Testing Laboratories (AC89) and has demonstrated compliance with ISO/IEC Standard 17025:2005.